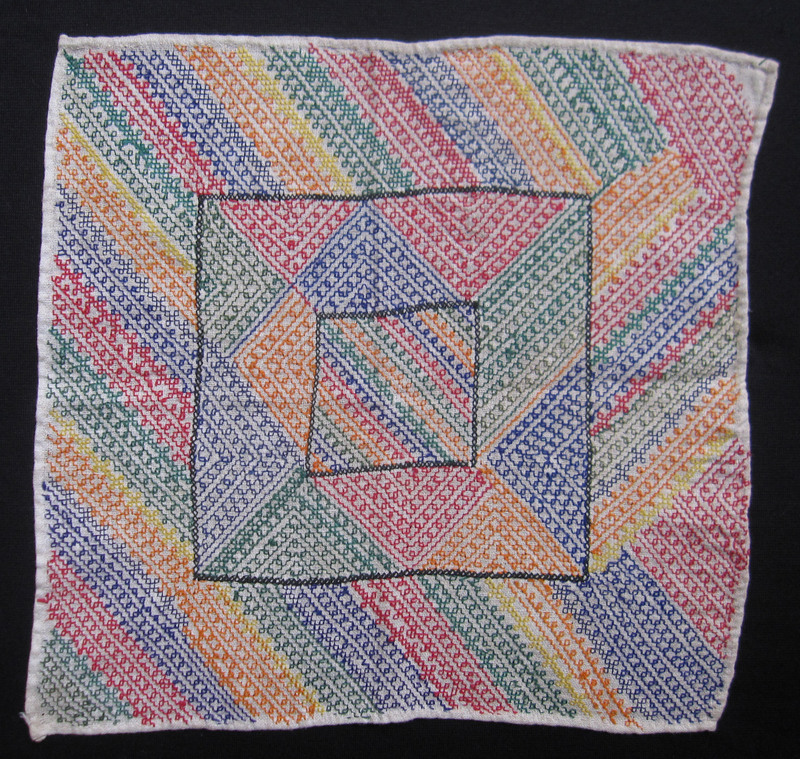 This paper examines the evolution of the historical and theoretical literature that has developed about the work of the avant-garde Italian artist Alighiero Boetti produced in Afghanistan from 1971 until 1994. Characterised by a set of interrelated cultural and historical fictions, I propose that this collective narrative has evolved to constitute a contemporary orientalist mythology. This is particularly evident in the literature following his death in 1994, and most recently in anticipation of his retrospective exhibitions in the Museo Reina Sofia, Tate Modern, and the Museum of Modern Art in 2011–12. Prior to his death, the literature on Boetti primarily took the form of catalogue essays, journal articles and biographies. These drew heavily on a small number of interviews conducted with the artist, plus accounts and memoirs given by his wives, partners, and curatorial collaborators. Since his death, the literature has further proliferated, and today a greater emphasis is placed on a growing number of secondary authorities. Recent monographs, catalogue essays, and auction house texts draw heavily on the anecdotal accounts of his agents and facilitators, as well as his employees and archivists. In exploring what I describe as the mythologies informing the contemporary reception of his work, I examine the claims of his influence over the distinctive indigenous genre of Afghan narrative carpets which were produced both within Afghanistan as well as by diasporic Afghans in Iran and Pakistan in the years following the 1979 Soviet invasion until the present. The attribution of political intent in the later Boettis, whether attributed to the artist or on the part of his agents, is a recent invention worthy of challenge. Finally I argue that such interpretations of his attitudes and practice might be described as a form of late orientalism, a mode of representation occurring through the appropriation of tradition and the projection of cosmopolitan values and practices onto this most conflicted and exoticised cultural context of the contemporary era. This essay contrasts the contemporary British artist Mike Nelson’s approach to constructing his large, multi-room installations with his approach to editing the numerous artist books that he has produced since 2000. This comparison reveals several compositional symmetries between the two, namely pertaining to narrative non-linearity and meta-fictionality. The logic of montage is shown to similarly underscore both the books and the installations. This essay argues that the corridors connecting the different rooms of Nelson’s installations function in a similar way to the logic of montage: they play an integral role as the support that binds the structure of the installation (its multiple rooms) together as a whole. This essay argues that the corridor is the primary viewing framework of the installation for the viewer, and that this vantage point is significant because the necessarily partial vision of the installation from the space of the corridor demonstrates the logic of installation art more broadly. I conclude by mapping the key compositional elements of Nelson’s artist books onto his installations, taking the 2001 work The Deliverance and The Patience as a case study, to show that the books do not exemplify the artwork as with traditional exhibition catalogues, but rather parallel it. That is, a structural continuity is established between these two facets of his work. Writing on the occasion of a retrospective of Richard Dunn’s work, Terence Maloon argued that ‘structuralism had an important bearing on virtually all of Richard Dunn’s mature works’, with ‘his modular, “crossed” formats’ being the most obvious manifestation of this. In this article I wish to reconsider this relation, withdrawing from a broad consideration of the framework of structuralism to focus on some of the quite particular ideas that Lacan proposed in response to structuralism. 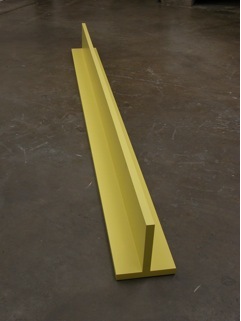 Beginning from a pivotal painting in the 1960s that developed out of Dunn’s experience of viewing the work of Barnett Newman, I wish to suggest a relation between the ongoing exploration of the thematic of scale in Dunn’s work and the idea of the symbolic that Lacan derives from structuralist thought. This relation, I argue, opens up a different way of understanding the art historical transition from Minimalism to Conceptual art. In its final phase (1940-44) Italian Futurism remained a vibrant and multi-faceted movement. However, its enduring Fascist sympathies throughout the dark years of World War Two have proved a major obstacle to an objective appraisal of its achievements during this period, which has come to be associated almost exclusively with a genre known as aeropittura di guerra. A late manifestation of the Futurist machine aesthetic and fascination with industrialised conflict, this ‘aeropainting of war’ is extremely problematic, ideologically speaking. Nevertheless, as an expression of the movement’s belief that war was ‘Futurism intensified’ this tendency demands closer attention than it has hitherto received, despite its unpalatable glorification of violence. Examining the formal characteristics of such work, this paper challenges the habitual presentation of aeropittura di guerra as visually crude and unimaginative, subservient to the retrogressive aesthetics of a regime increasingly in thrall to the anti-modernist cultural policies pursued by its Nazi ally, and reveals its imagery to be much more varied and inventive than is often supposed. 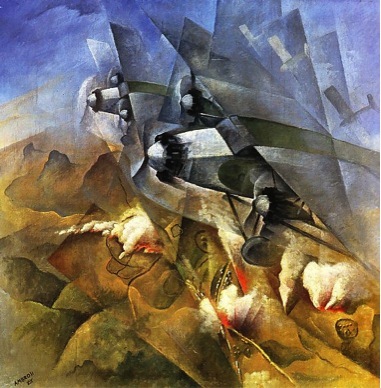 It also examines contemporary responses to this genre, and suggests that far from being marginalised and suppressed by Fascist ideologues, Futurism’s unique ability to evoke the drama of aerial warfare did not go unrecognised — or unrewarded — by the political and cultural establishment of the day. In this paper, Edgar Degas’ history paintings are read as the painter’s reflection on the irreconcilability of married life and artistic vocation, a major theme of discussion among artists and writers in nineteenth-century France. In The Young Spartans Exercising (1861) we see bachelors being banned from participation in the Gymnopaediae. In The Daughter of Jephthah (1859-60), Semiramis Building Babylon (1861) and Scene of War in the Middle Ages (1865), Degas shows famous unmarried women, femmes fortes who have chosen to pursue spiritual rather than mortal passions, all alter-egos for the artiste célibataire who chooses devotion to art over a family-centred bourgeois life. This article contributes to the view that Degas was neither a misogynist nor a narrow-minded bourgeois. Far from having preconceived patriarchal ideas on marriage and women, Degas choose to remain an artiste célibataire in accordance with the more extreme aspects of the nineteenth-century French cult of the artist as genius. It is the idea of the exceptional status of the artist that Degas elaborates in his history paintings, and that rendered him unmarriageable. Two monographs on Australian artist Fred Williams, published by Patrick McCaughey and James Mollison during the 1980s, have recently been joined by a third, Deborah Hart’s Fred Williams: Infinite Horizons (2011). 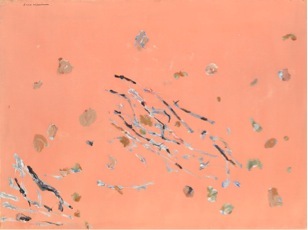 While the first two argue that the artist’s work bridged a schism between Australian landscape painting and an internationalist contemporary art of the 1960s, the rise of Western Desert painting invites a new reading of his landscapes. Ron Radford’s Preface to Hart’s new monograph wants to reconcile the artist’s relationship to Western Desert painting with an anecdote about Clifford Possum’s visit to the Art Gallery of South Australia in 1984. Possum was enthusiastic about a painting by Williams, and Radford sees in this enthusiasm a reconciliation of Aboriginal and non-Aboriginal ways of seeing. Such different readings of Williams and his work, authored in different historical periods, reflect different moments in the unfolding of national anxieties that constitute the history of Australian art. Prior to the highly visible outbreak of avant-garde cinema in the 1960s, a number of earlier films made in Australia displayed broadly experimental aesthetic concerns. 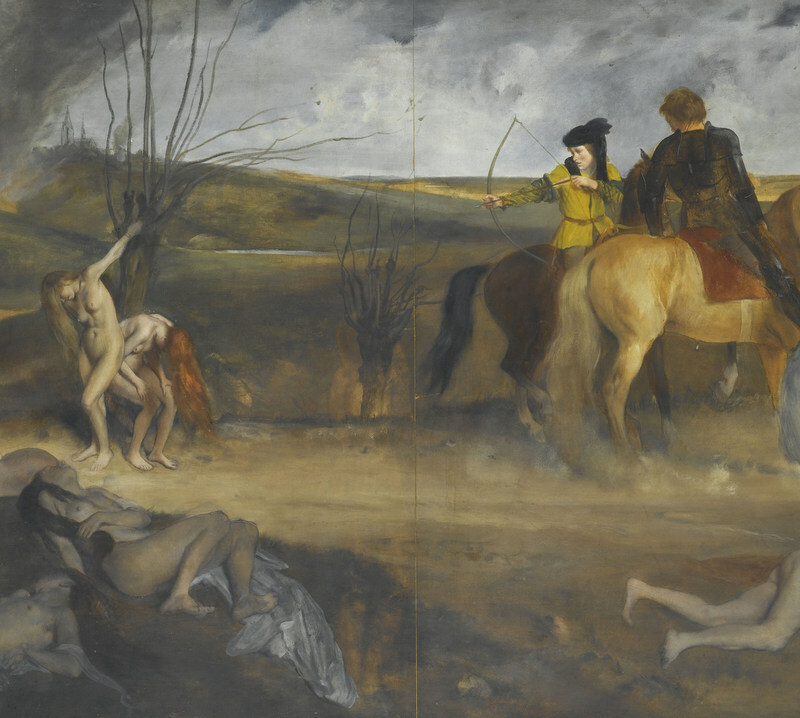 This essay considers these proleptic works via an analysis of the recurring motif of the dream, exploring the historical forces leading to their production, and suggests that the consonance with the aspirations of international Surrealism subtending these works had both an experimental and pragmatic agenda. emaj 2011-2012. Published November 15th 2012.